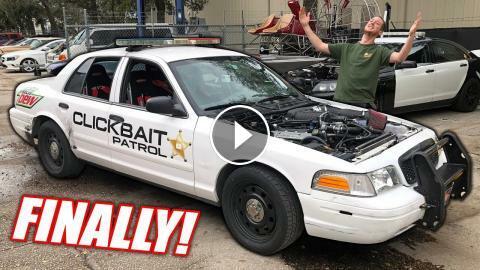 ﻿ Our GT500 Powered Cop Car is REBORN! 900+hp Of Ford Powered Freedom! Finally, neighbor is BACK in ACTION! Light Shows Powered by Brainwaves! Burnout Patrol EP.3 - Cutting Out Room For FREEDOM.. GT500's Transmission Hardly Fits!